You can’t fool me, those are ALL mirror universe beards! True but what KIND of mirror universe is it! Ah! The worst kind, subgroup 2b – overcomplicated retcon mashed up from previous series! Dystopian: Dennis Rodman as nuclear diplomatist. Nothing will ever surpass this void leak. Urban fantasy: the judges would also accept “Top-down view of dark-haired hunk, shirtless, flexing arm muscles to make heroine swoon”. Urban fantasy and paranormal romance overlap to a very large degree. Steampunk needs to be a BIG handlebar mustache, preferably waxed into curls and points. Moustachioes. Just Google it. I demand a correction posthaste, sirrah! It’s bigger than everybody else’s! The Ruritarian one was a bit like that initially but without a mouth on the face, it just looked like a weird smile. FOR FACIAL HAIR! they truely have a word for everything. I always assumed that Wilhelm II was fond of saying “Es ist erreicht”, hence the name of the beard. But it turns out that “Es ist erreicht” was a brand of beard wax popular during the Second German Empire. And no, I have no idea why anybody thought “achievement unlocked” was a good name for beard wax. Ironically, nowadays the beard is more remembered than the man himself. 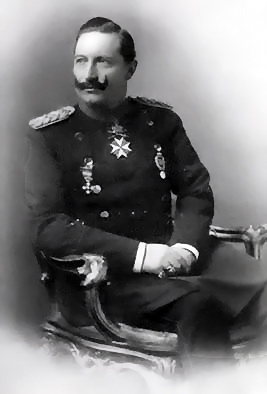 I think Kaiser Wilhelm II mustache is the evil steampunk one, Wilhelm I mustache is neutral steampunk (tho his sideburns rivaled Tirpitz’ beard) and one which goes out farther and then curls up at the ends, maybe with wax, is the heroic steampunk one.